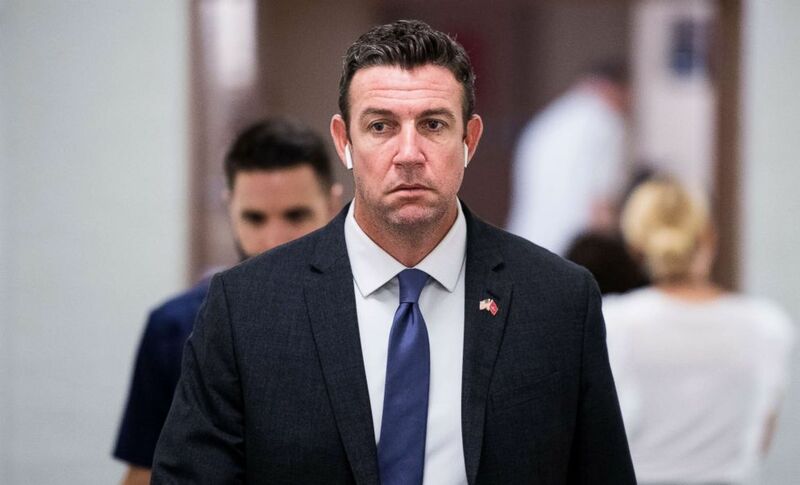 The race between incumbent Rep. Duncan Hunter and Ammar Campa-Najjar has attracted national attention as a result of a criminal indictment and a string of attack advertisements. Over the summer, Hunter and his wife were indicted on charges they misused campaign funds for personal use. Prosecutors say he and his wife tried to conceal illegal spending as donations to charities. Since then, Campa-Najjar has surged ahead in fundraising, collecting $3.2 million through the third quarter, according to FEC reports. Hunter, on the other hand, has pulled in a little over $1 million. Rep. Duncan Hunter arrives for the House Republican Conference meeting, Sept. 26, 2018, in Washington, DC. A string of controversial attack advertisements against Campa-Najjar also grabbed the national spotlight. One ad called called him a “security risk” because of his Palestinian family connections. Sixteen years before Campa-Najjar was born, his grandfather was killed by Israeli commandos after his involvement in the 1972 terror plot at the Munich Olympics. Hunter has attempted to capitalize on that fact, saying that Campa-Najjar’s family makes him a threat to the nation. In response, Campa-Najjar told ABC News that he is not a threat to national security, but he is a threat to Republicans. Having worked at the White House under President Barack Obama, beginning in 2013, and then at the Labor Department until 2017, Campa-Najjar has also explained that he had a security clearance for both of those jobs, which required him to pass an FBI background check. Campa-Najjar was raised near San Diego by his mother and her family. He changed his name in 2016 to honor her family, the Campas, who helped raise him. Hunter, a native of San Diego, was elected in 2008 after his father retired after 28 years in office. Despite all the negative attention, FiveThirtyEight forecasts the race as “likely Republican,” giving Hunter a six in seven chance of keeping his seat.